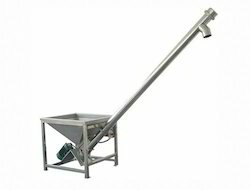 Our organisation is a trusted manufacturer and supplier of a superior quality range of Screw Conveyor. Made available in varied designs and specifications, our screw conveyors can efficiently handle a wide variety of materials in both horizontal and inclined applications. Owing to their sturdy construction, wear & tear resistance and longer functional life, these screw conveyors are hugely demanded in the market. Industrial Screw Conveyor uses a mechanism that makes use of a helical screw blade to move liquid or granular materials. Having a robust construction and huge load carrying capacity, these conveyors are manufactured using advanced and latest technology machines so as to offer precise dimensions and high efficiency. Our clients can avail industrial screw conveyor at industry leading rates. 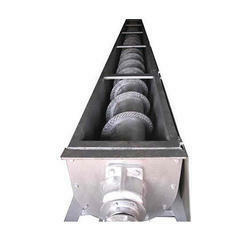 We are one of the leading manufacturers and suppliers of Shaftless Screw Conveyor made using quality grade stainless steel. Widely appreciated for their durability and greater functionality, these conveyor screws are designed as a pure conveying device and metering device as well. Sugar, cement, fertilizer, chemicals, agro chemicals, and food industries are some of the application areas of these products. 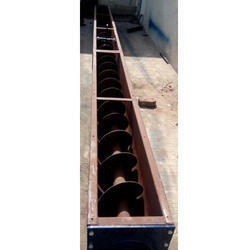 We are known in the industry for maintaining consistency in delivering high quality Screw Conveyor. 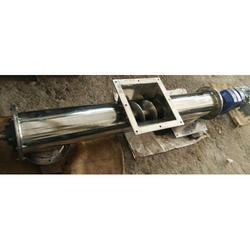 Specially designed helical screw of this conveyor is responsible for limited distance transportation. Used for conveying heavy liquid mixtures and granular material in industrial processes, the products offered by us are known to deliver highly reliable performance.